The Raiders left Denver on Sunday following their loss to the Broncos. Cornerback Leon Hall did not join them. ALAMEDA, Calif. — Leon Hall has a knack for diagnosing and explaining complex football concepts, the 12th-year NFL veteran possessing a strong grasp of leverages, coverages, route combinations and various techniques that are at his position’s core. What happened Sunday is more difficult to explain. The Raiders cornerback did not travel back to Oakland with the team following its Sunday game against the Broncos. He was hospitalized overnight in Denver for evaluation following an episode related to his carriage of the sickle cell trait. Issues can arise at high altitude, where the atmosphere contains less oxygen than at sea level. Broncos Stadium at Mile High is at 5,280-foot elevation. Hall played there twice before with the Cincinnati Bengals, in 2011 and 2015. Sickle cell trait involves an abnormal gene for hemoglobin, a protein that transports oxygen in red blood cells. Hall, a starting nickel corner, pushed through his situation. He played 55 of 66 defensive snaps in the 20-19 loss, including all 10 plays of a decisive fourth-quarter drive. 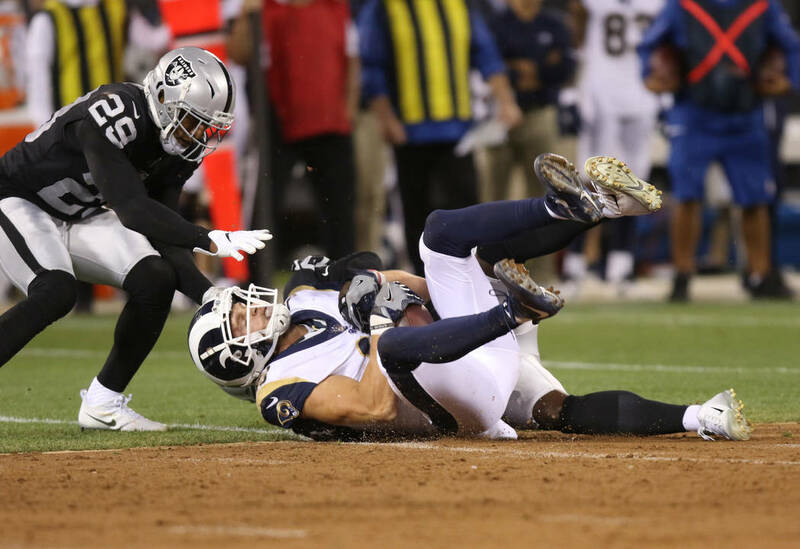 Hall’s circumstances provide context not only to his afternoon but, from a larger viewpoint, the greater grittiness on display from Raiders defenders during an albeit disappointing finish. The physical exhaustion was obvious. At 92 degrees for kickoff, Sunday marked the warmest home game in Broncos franchise history. Heat and altitude effects were exacerbated in the second half, as all four of Denver’s offensive drives spanned double-digit plays. In the final series, which culminated in a field goal with six seconds remaining, Raiders defensive ends Bruce Irvin and Arden Key didn’t sub out once; they were assigned to rush on all 10 plays. Between some snaps, they stood with their bodies hunched over, hands on knees, fighting to catch their breath. At one point, defensive end Frostee Rucker laid on the field after a play. The officiating crew did not stop the game, so Rucker hurried back to the line of scrimmage. And then, there was Hall, who sprinted and dove for an open-field tackle on a 26-yard reception that set up the field goal. His very presence on the field was a feat. Hall, 33, joined the Raiders in March on a one-year contract. He quickly proved to be a valuable addition, earning not only a roster spot and role but serving as a mentor to younger teammates. Before the season, he was voted one of six team captains. 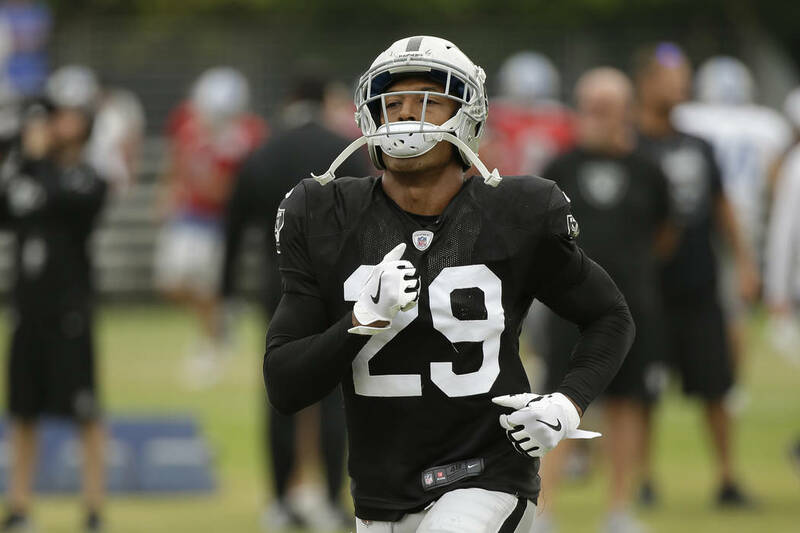 Hall received intravenous fluids and underwent additional testing in Denver before returning to Oakland on Monday evening. He has practiced throughout this week and is expected to play Sunday against the Miami Dolphins.